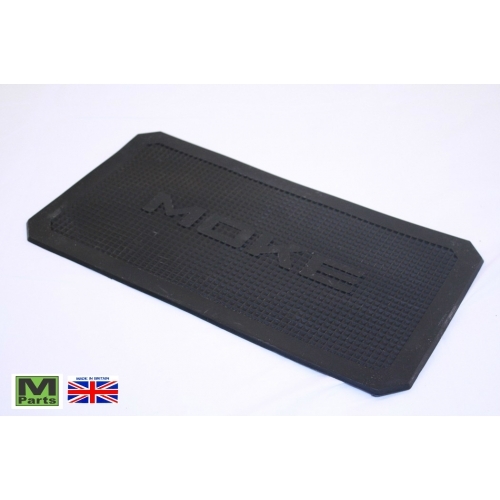 This is a Mini Moke rubber pannier mat / kick pad that was used on Portuguese and Cagiva Mokes. Each Moke originally came with four and they are designed to sit on top of the panniers and protect the paintwork from knocks and scuffs. 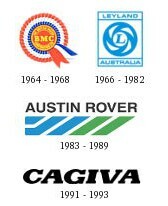 This is high quality reproduction part which is made in Great Britain. It is brand new and has never been fitted to any vehicle.